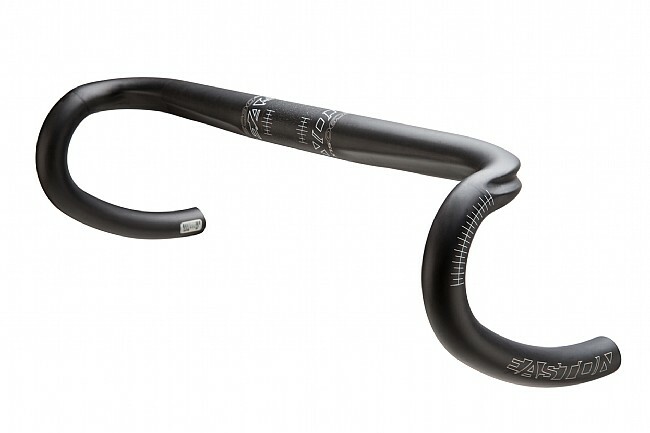 Easton's EC90 SLX Road Handlebar is their lightest most advanced bar, featuring their MCD Maximum Contact Drop profile and proven EC90 SLX carbon. Taperwall™ technology keeps the bar stiff for top-notch efficiency while allowing compliance in key areas to reduce road vibrations. The result is a bar that's tuned for both performance and comfort to satisfy the sport's most demanding riders. Features cable recesses for clean mounting of Shimano, SRAM, or Campagnolo shifters. Width is measured at the hoods. Drops are flared 4°. 80 mm reach. 125 mm drop. Claimed weight is 195 g (42 cm). 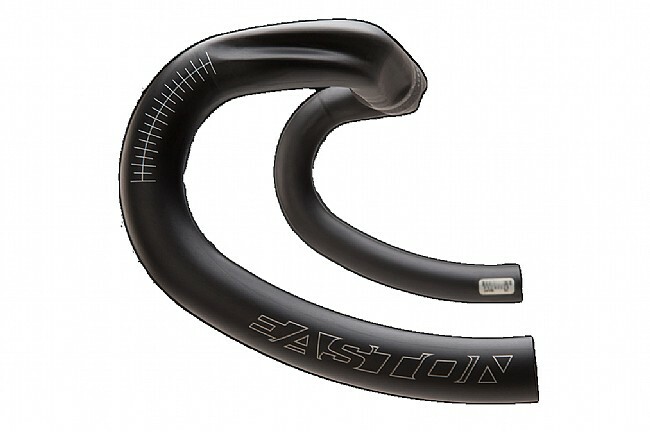 Easton's carbon bar has a well designed shape. I wanted a light carbon bar for road riding. I think the carbon does help mute the road vibrations on long rides, and the shape is a very good compromise between a classic bar with a long flat area and a ergo bar that lets me get my hands up in the hooks easy. I have large hands and this bar works well for me. Also, I stayed with my normal 42 c-c width measured at the ends. This bar is a bit narrower at the hoods, but I like the feel. Used this bar to build up a new frame from scratch. I found the drop position so much more comfortable than the bars on my other (now for travel) bike that I bought a second pair and swapped them to the EC90 SLX. Just spent four weeks in Europe riding with them and can confirm the drop position is super comfortable. This will be my last easton purchase. Had a very poor experience with their warranty department. I recommend any other carbon bars.